We’re excited to launch the a brand new survey called the JVM Ecosystem Survey 2018. The goal of this survey is to understand the lay of the land across the entire JVM ecosystem and Java in particular. Once we get all of your wonderful responses we’re going to turn them into a beautiful report that you can read, printout, turn into wallpaper, you can literally do whatever you like with it. Snyk and The Java Magazine Team Up! 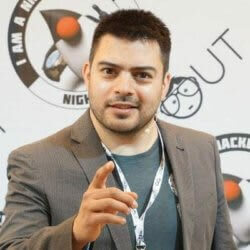 Those who are close to the Java Ecosystem will know that Simon Maple is no stranger to developer surveys, but this year of his goals is to remove as much bias as he can from responses to the survey. As a result, he’s thrilled that Snyk is teaming up with The Java Magazine to provide a much broader knowledge, insight and audience to the survey and results. Simon will personally be working with Andrew Binstock, editor of the Java Magazine to turn numbers into words for the final report. Is Maven still the dominating build tool on the JVM or has Gradle made ground? Does IntelliJ IDEA really have a lead over the Eclipse IDE and if so, by how much? Has Java EE been able to slow down it’s rate of loss of adoption? How much does Spring now dominate the Web Framework world? What has the recent Java SE version adoption been like? How often will people choose to upgrade their Java versions? OK, OK, take me there! Need another reason to participate? How about we give money to the Devoxx4Kids charity? We’ll donate $1000 for 2k responses and $2000 for 3k responses. That’s gotta be worth your time now! If you didn’t know already, Devoxx4Kids organize events worldwide where children can develop computer games, program robots and also have an introduction to electronics. The survey won’t take long to fill out and once you’ve done that, you can optionally provide your name and email and we’ll personally send you a beautiful PDF that will give you all the results in a smart report. Got it! Let me at it! As well as filling out the survey, we’d love your help to get this report out to the millions of Java developers out there. Feel free to retweet this tweet here if you don’t want to create your own! Finally, if you’re clearly not going to click anything to fill out the survey, It’s embeded it below, so now you’ve got no excuses!